Like quite a lot of people this week I visited my local town to do a spot of Christmas shopping. However, with a camera in my pocket, very little actual shopping took place as I sought to get away from the hustle and bustle of the busy shopping areas. This is how I found myself down in the Town Quay area of Southampton just after 9am on a very busy Saturday morning. 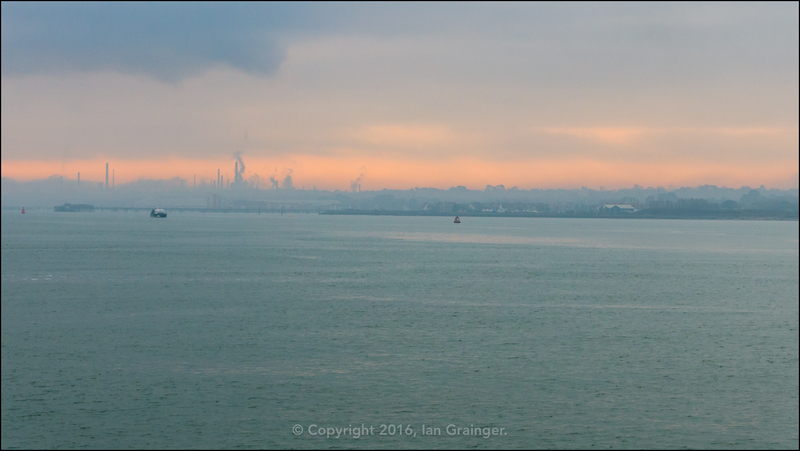 As well as a bit of peace and quiet, I was also treated to a lovely sunrise, as the sun burned through the mist and fog, and gave a fuzzy view across Southampton Water towards the little village of Hythe, with the smoky Fawley Oil Refinery beyond. I was enjoying my little jaunt around Town Quay, and this little tug boat named Calshot caught my eye. Built in 1929 for the Red Funnel Line, she remained in service until 1964, tending to many of the great ocean liners of the time such as the original Queen Elizabeth and Queen Mary. 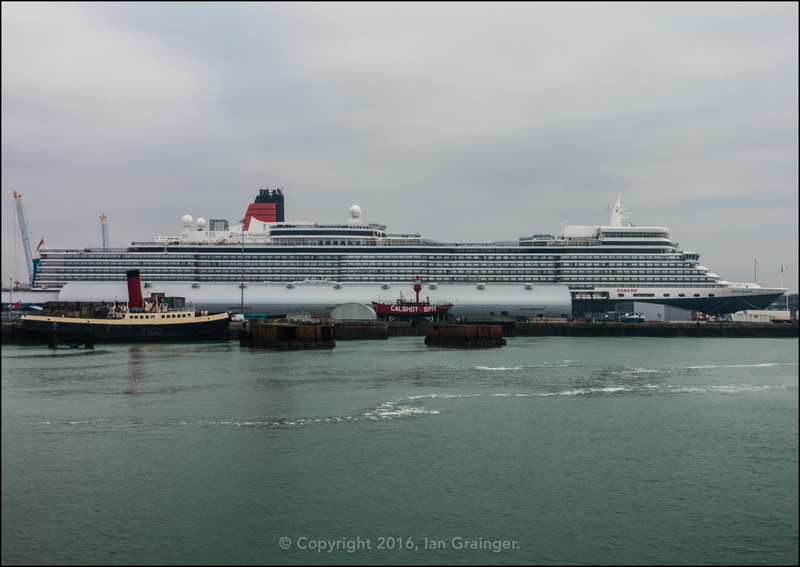 My solitude was broken as passengers disembarked from the modern day Queen Elizabeth and headed off in numerous taxis, buses and cars, or remained on foot, and went off to explore the City of Southampton. 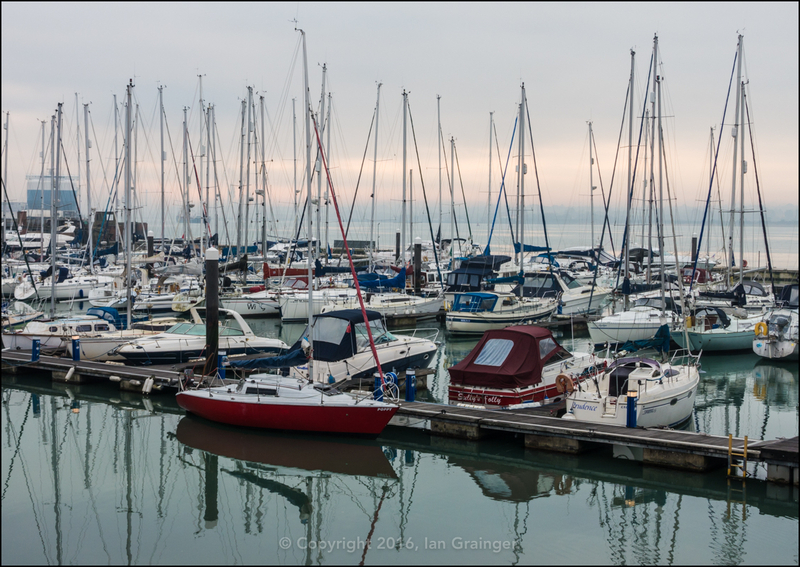 The quiet soon returned, as I made my way around to the marina, and spotted this little red yacht called Poppy, situated amongst a throng of other yachts all moored in the marina for the winter period. This clock tower and dome belong to the old Harbour House building, which was built in 1925, and used to house the harbour offices. Much to the disdain of many locals, it now styles itself as a Gentleman's Club - which I guess is a more savoury way of describing a lap dancing club! 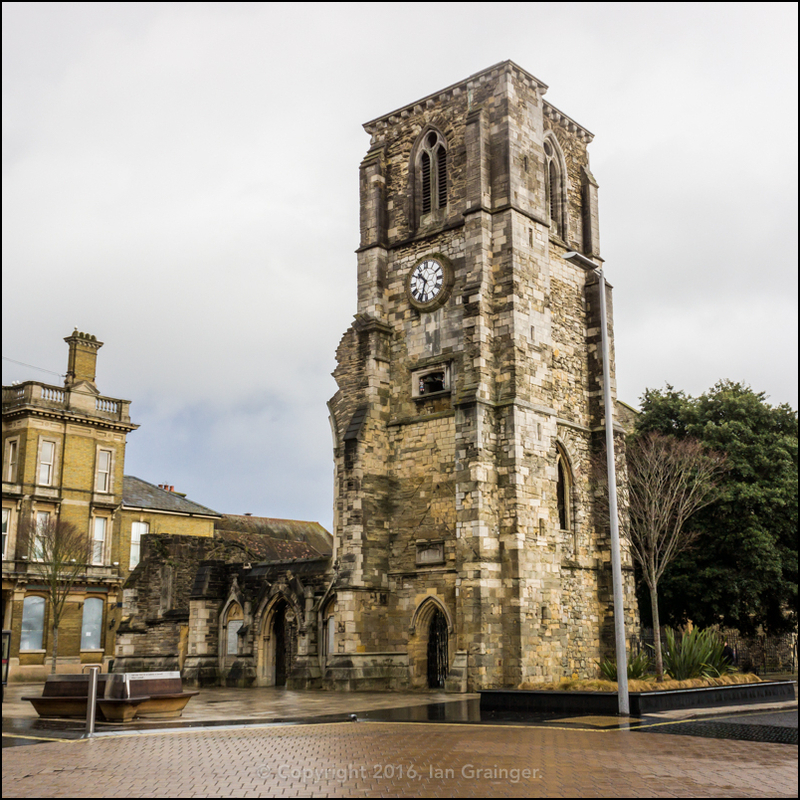 Moving back towards the throng of Christmas shoppers, and with improving weather conditions, I decided to take a few shots of some of the older architecture in the city. 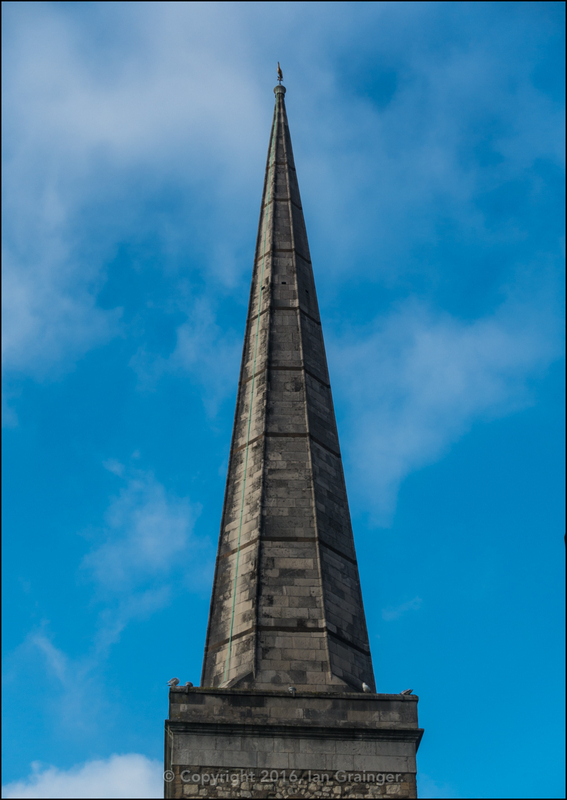 This spire is from St Michael's Church, which was founded in 1070, although the spire was constructed considerably later! 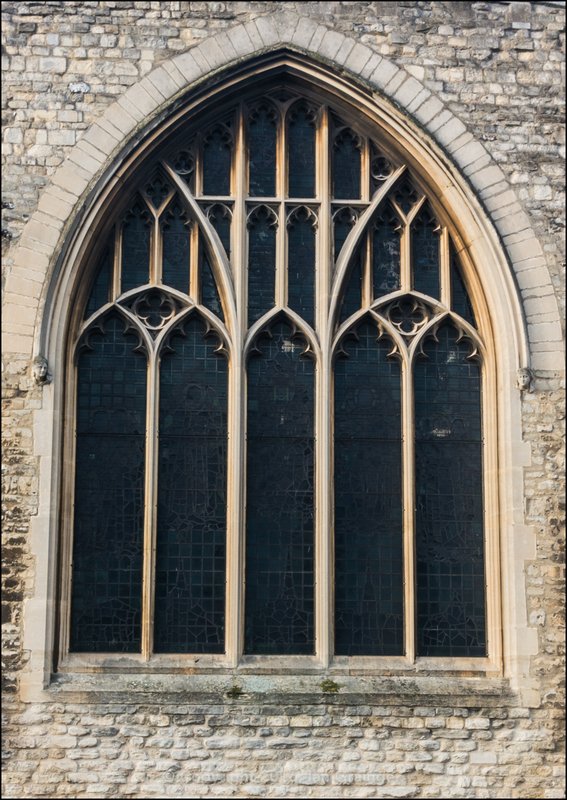 This is the East window, which depicts the five churches of medieval Southampton, of which St Michael's is the only surviving member. 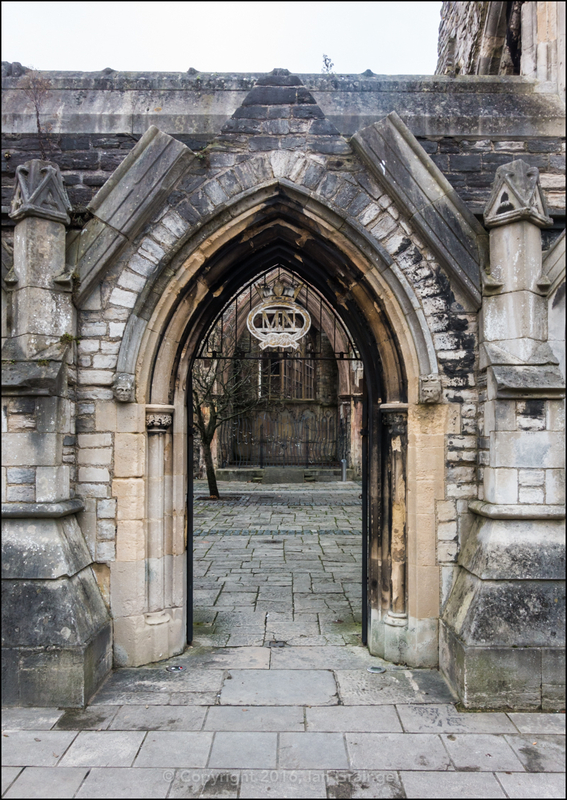 This barred gate is part of Holyrood Church, another one of the original five churches of medieval Southampton, which was built in 1320. It was destroyed during the Blitz in 1940. Only parts of the church are still standing, with this archway leading into the remains of the interior. I took this picture back in December 2012, and have included it here to give you a better idea of what is left standing. Finally, a piece of more modern architecture. 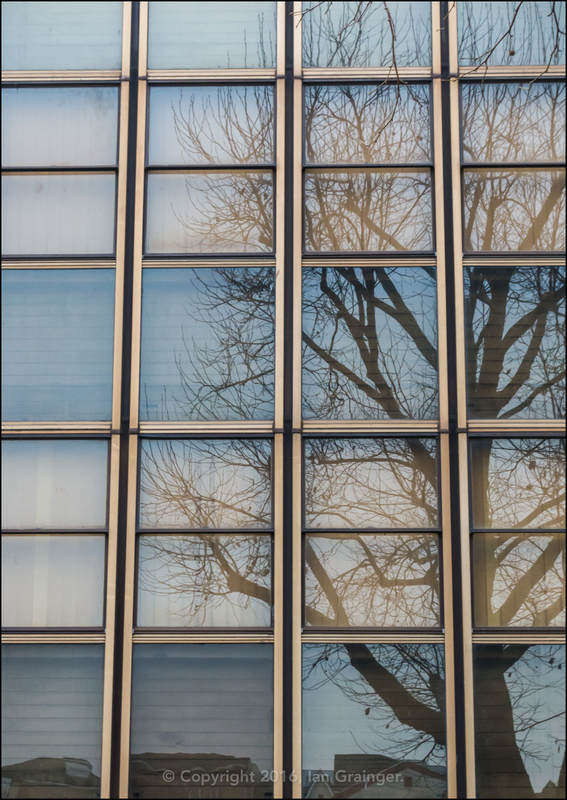 I rather liked how the tree was reflecting in the windows here, as it gave a nice juxtaposition between something natural, and something man-made.